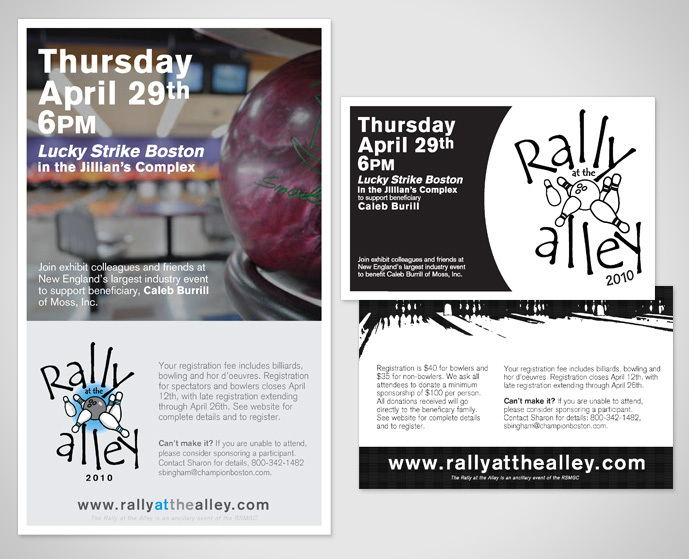 The Rally at the Alley Foundation requested new artwork for their upcoming benefit. Full color promotional and event posters were created at both 11" x 17" and 24" x 36" to support the brand identity. A smaller, one color, pocket-sized card was also created for the sold-out event which was one of the most successful in their history.